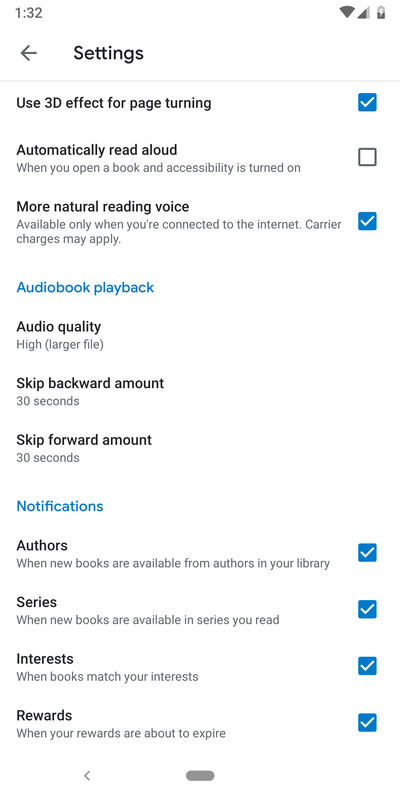 A few new settings were added for audiobooks. 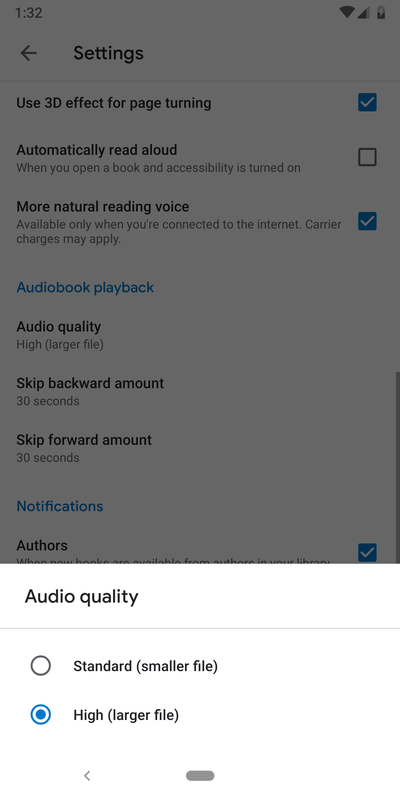 The first in the set is an option to control the quality of the audio you're downloading. The options are limited to just Standard and High, but that's probably enough for most users. Sadly, the labels for each size don't give any clues about how much space (and data) is saved by choosing the lower of the two options. 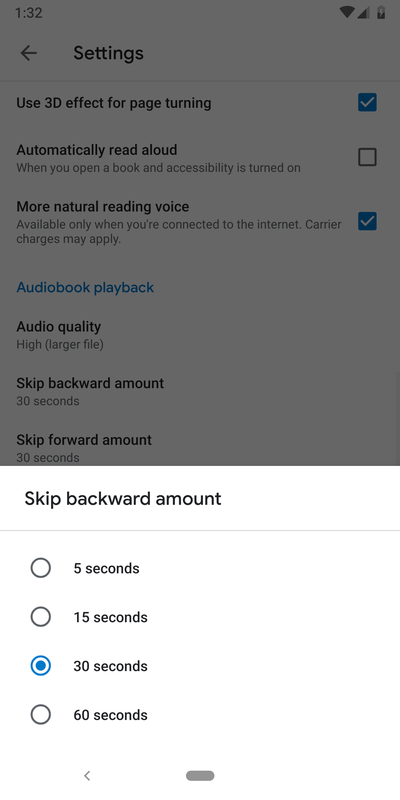 The other two new settings are for the amount that the forward and backward seek buttons should jump. Each can be set separately with intervals of 5, 15, 30, and 60 seconds. This comes in really handy with books that have lots of repetitive passages or when you're trying to find a section to replay. Once a setting is changed, the interval of the jump is reflected in the center of the skip buttons on the player. There was one more subtle addition to the player screen, but it's hidden in the overflow menu. There's now a link to the Settings screen, which will make it a bit easier to test out and pick some skip intervals that work for you. 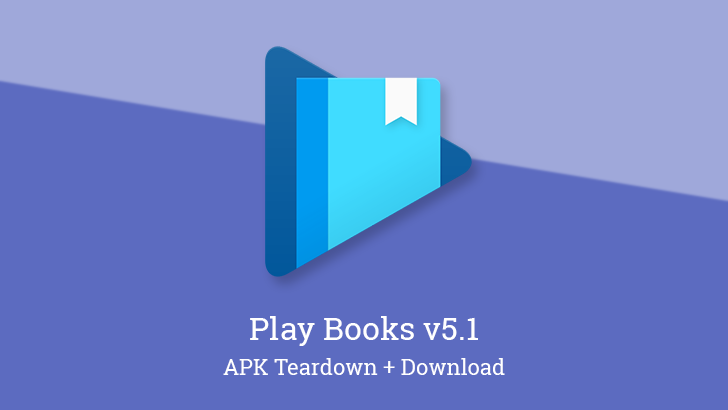 Left: v5.0 and earlier. Right: v5.1. 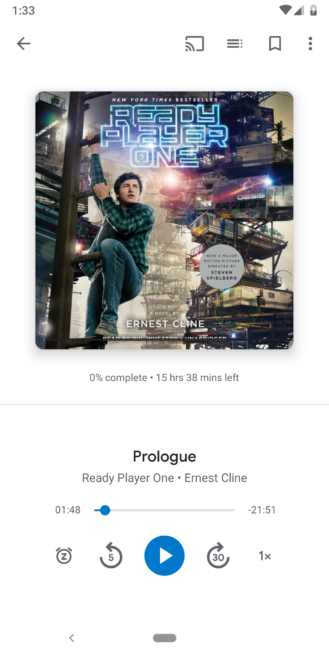 It's coming a little late after the visual refresh, but the app shortcut icons have been updated to match the new look. If you're shopping for new books, there's a chance that you'll want to skim over a few that are currently on sale. Three new category labels were added that show you'll be able to do just that. Categories will exist for deals on audiobooks, comics, and regular ebooks. One final string was added that may be one of the most interesting, or it might not be relevant at all. This line belongs to the Cast capabilities and explains that an ad is in progress. It's possible this string was added to a library and never actually used, but it could also mean that Google Play Books is experimenting with playing ads while you listen to an audiobook (or generated audio from an ebook). 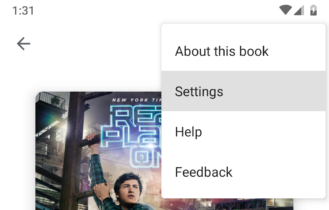 Cynics might jump to suggest Google is looking to play ads on books you've purchased, but I think the more likely explanation is that Google might be looking into ways to offer select books for free with ads. 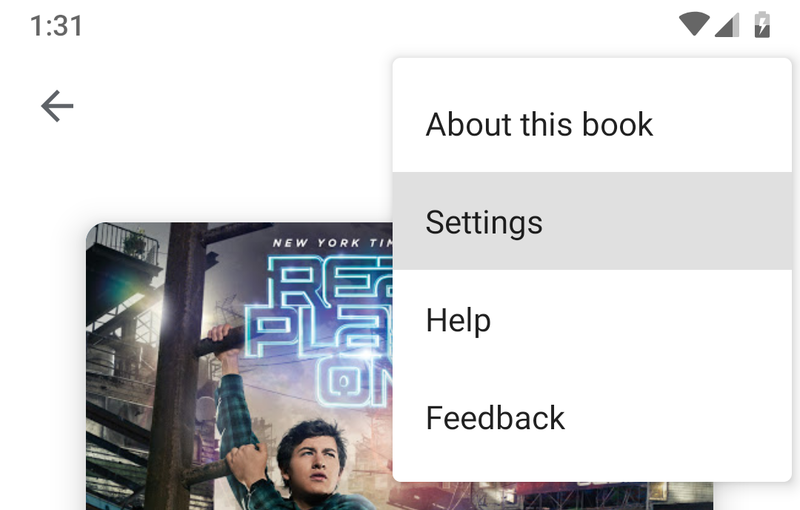 This could be a great way for low income (or thrifty) users to have access to books that they wouldn't otherwise have an option to experience. Again, it's possible this string doesn't belong and will never appear for any users; but if it is here intentionally, that does raise a few interesting questions and may have some positive outcomes.